Showcase your one-of-a-kind quilts on this beautiful Amish Hardwood Mission Quilt Rack. Hold three thick quilts or a multitude of blankets in your living room, ready for use at any time. Handcrafted by our talented Amish woodworkers the mission style design adds a classic element. 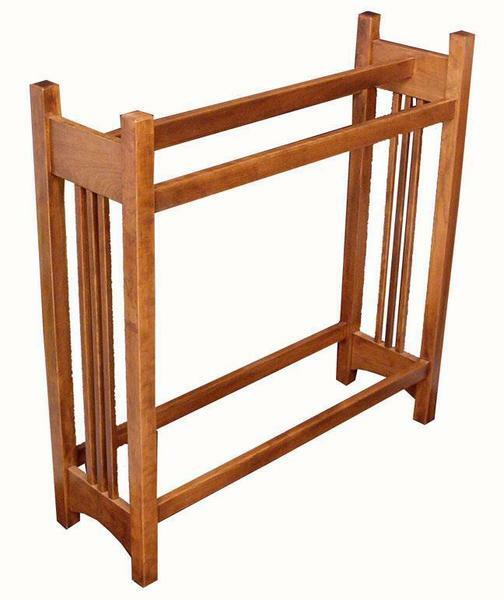 Built for strength and durability, this solid wood quilt rack is sure to last. 35" x 11" x 36"